As the Large Hadron Collider at CERN, Switzerland, is delivering its first results and as neutrino particles continue to reveal their properties in experiments around the world, particle physicists discuss the future of the field. During an exceptional session of the European Committee for Future Accelerators at the EPS-HEP2011 conference on 23 July, the particle physics community launched the update of its roadmap as part of the European strategy for particle physics. The previous edition was voted on in Lisbon in 2006. The new edition is now scheduled for autumn 2012 and will be presented in Brussels, Belgium. With regard to the International Linear Collider (ILC), Michel Spiro can not judge today whether the LHC will tell the physicists enough about the Higgs and new physics so that a decision could be made by the end of 2012. “In any case, I think that we need a global effort to continue beyond 2012, and personally would like to see the ILC and CLIC [Compact Linear Collider Study] projects work more closely together in technical R&D projects management and scientific research,” said Michel Spiro. The European Strategy will cover the European participation in particle physics projects in Europe and beyond Europe. It will also cover all specific areas of astroparticle and nuclear physics where there is overlap with particle physics research, for example in dark matter, neutrino or cosmology. 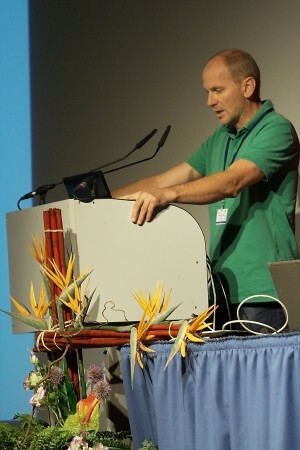 The process to update the European Strategy started at the EPS-HEP2011 conference, with an opening talk (see slides and video) from Steinar Stapnes, Scientific Secretary of the European Strategy Session of Council and also CERN’s linear collider studies leader. A preparatory group is now in place and will gather information from the different proposed projects. A special meeting at CERN is foreseen in October in which the Asian and American visions of the future of particle physics will be presented. 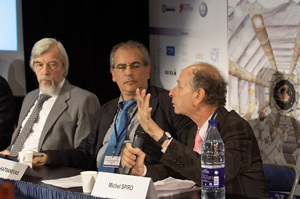 After the high-energy physics winter conferences, around April 2012, the physics community will be invited to discuss and give its opinion, the same way it was organised in Orsay, France in 2006 for the first edition of the strategy document. Then after the 2012 summer conferences, the CERN Council delegates will dedicate a full week to the analysis of the proceedings. “We will try to reach an agreement on the main priorities for the next five years,” said Spiro. Finally, at the end of 2012, the CERN Council plans to hold a special session in Brussels to mark the launch of the updated European Strategy for Particle Physics – maybe at the ministry level – devoted to the approval of their updated vision of a particle physics future. 2012 will be a crucial year for the future of particle physics in many aspects. At the same time significant results should come out of the main high-energy experiments – a study from the Organisation for Economic Cooperation and Development (OECD) about the social and economic impacts of CERN’s activities should be revealed. The release of the European strategy will be also an ideal opportunity to showcase the extent of European, and indeed global collaboration in particle physics. To that end, CERN member states plan to organise outreach and educational events around this period. Pingback from From the ILC Newsline: “Europe launches update of strategy for particle physics” « Science Springs, “[...] See the full article here. [...]”.